Next: Holiday Treat #8: Gingerbread Cookies! Previous: Peanut Butter Kiss Cookies! Do you love cannolis, but want to make them without the challenge of forming and frying the shells? Well, you should try these! They use pie crust, baked, instead of fried shells! I made them with my friend on one of our cooking/baking nights! We used a star cookie cutter to shape the dough for the mini cups– looks more interesting than when they’re just cut with a circle! See the points from the stars in the crust?? They were delicious!! A wonderful, easier alternative to the traditional fried cannolis. 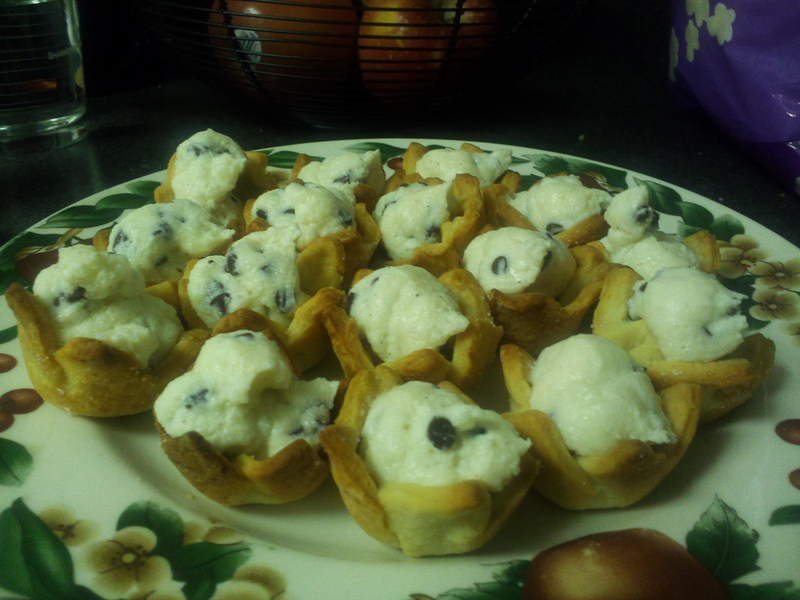 1) Preheat oven to 375 degrees F. Gather mini muffins pans to make about 3 dozen cannoli cups. 2) For the crust, in a food processor, combined the flour, salt, and sugar. Add in the shortening and butter and pulse until butter resembles small crumbs (the size of a pea). Add in 2 tablespoons of water. Pulse (or use your hands) to massage into the dough. If the dough is still too dry, slowly add in more water, no more than 1 Tablespoon at a time. Refrigerate the dough wrapped in plastic wrap for at least an hour, or until you’re ready to use it. 3) When the dough is ready roll it out in a lightly floured surface until the thickness of crust you desire (I’d say about 1/8 – 1/4 inch thick). If you really like crust, as I do, rolling it out on the thicker side is preferred! 4) Once rolled out, use a star-shaped (or circle-shaped) cookie cutter to cut out the dough. Gently press the stars in the mini muffin pan cups. 5) Bake in preheated oven about 10 minutes, or until lightly browned. Remove from the oven and cool in the pans on a baking rack. 6) Meanwhile, for filling, in a saucepan, combine 1 cup of the milk and the cornstarch. Whisk together and then let sit for 20 minutes. Then, move the saucepan onto the stove and add in the additional 1/3 cup milk and the powdered sugar. Whisk the mixture constantly over medium heat until very thick (trust me- you’ll know when it’s done. It gets noticeable thick). Remove from heat and add in the almond extract and vanilla extract. Allow to cool to room temperature. 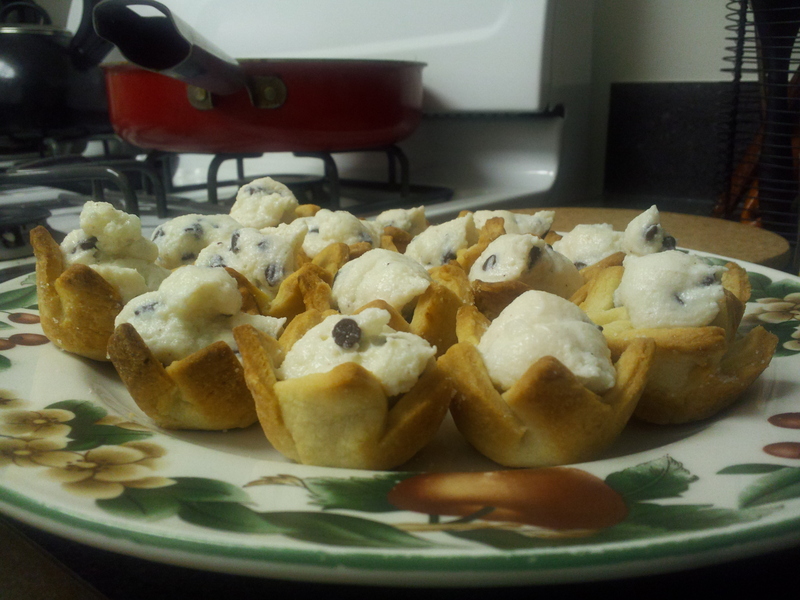 7) Once cooled to room temperature, fold in the ricotta cheese, cinnamon, and chocolate chips. Then, scrap the filling into a plastic bag. Snip the corner of the bag, and pipe into the crust cups.  8) Serve immediately, or refrigerate in an airtight container until ready to serve!